The Evolution Gaming preserve its most tempting and royal tables reserved for its VIP players only. Among those online casino tables, one is Live Fortune VIP Blackjack. It is played on an elegant grey design table and is hosted by the professional dealers. 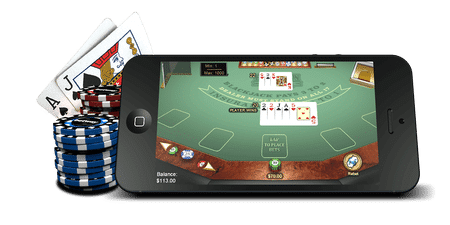 However, elite surroundings and the flawless designs are not the sole reason for the high stake gambler to go for this game and enjoy the blackjack adventure. You can play Blackjack Fortune VIP for its interesting side bets and higher betting limits. The game is also easily accessible for mobile devices and tablets users. Thus, making the game a perfect fit for the playing style of the VIPs in more than the one way. 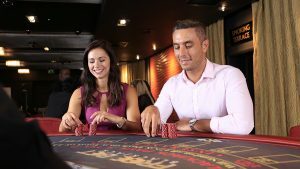 Blackjack Fortune VIP is not offered at many online casinos as other Evolution Gaming tables and it is certainly not open to any player but once a player is ready to place the bets of minimum 250 credits per session then he definitely can take the seat and enjoy this fantastic gaming session. The rules for the game are pretty simple to understand and many of them are properly displayed on the elegant layout. The blackjack payout is 3 to 1 and the insurance pays is 2 to 1. Along with this, players can fully enjoy the multi-hand gaming and the multi-table gaming sessions while playing the Blackjack Fortune VIP. Dealer for this game will mandatory draw until the 16 and thus they will take a stand on the 17. Another set of vital information is that game is played with the help of eight decks of the cards. Players can take a double on anything, excluding the splits. Lastly, only 1 card can be easily added to the split Aces. Moreover, with the traditional side betting options, players can use the extra features such as the perfect pairs, bet behind and the 21+3 wagers. The Blackjack Fortune VIP is extremely elegant set within a perfectly designed room. It has loads of betting options and wagering limits that helps in attracting only the serious high roller player. It is developed in an exclusive room located in Riga, Latvia and hence playing at the tables featured in Riga is itself a unique and luxurious experience. The game has impeccable high definition streaming. Overall, the game is worth the player’s time.